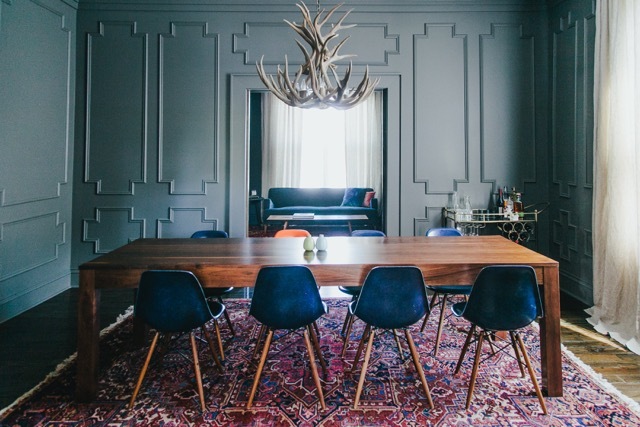 There's a skill to decorating with brown, and these interior designers have it. Whether it's in the kitchen, dining room or bedroom, in their trained hands brown feels rich but not heavy, fresh but not trendy, warm yet not overbearing. It goes with the flow and feels natural and familiar. Here’s how they spin their brown magic throughout the house. ﻿Angela Harris, founder and creative director at the Denver-based interior design and visual merchandising firm TRIO Environments, works frequently with home builders and designs a ton of model homes in Colorado. While the state’s crunchy reputation might predict an abundance of rustic-flavored earth tones, Angela doesn’t do predictable. Depending on the project, she elevates the hue with fresh precision, crafting interiors that are relevant and upscale. “The shade of brown used in the kitchen above provides a sense of foundation, a visual anchor for the space. A good balance of light and dark is always critical to a successful design outcome; this creates the Yin/Yang that we were seeking. From coast to coast, Harris' clients want more clean and dramatic design schemes. Caryn Cramer is an accomplished interior and textile designer with a talent for designing extraordinary spaces with all-out color. She is based in Washington D.C. where one might expect the regional taste skews toward traditional; Cramer excels at pushing the envelope. 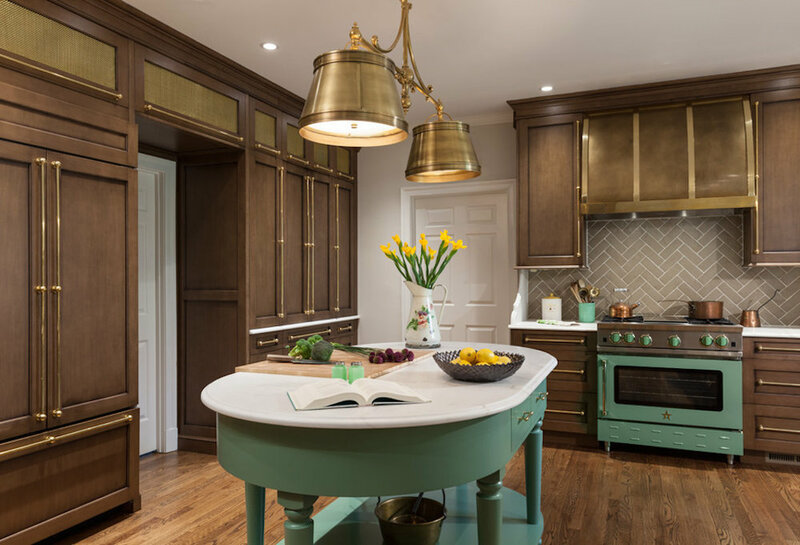 In this rather formal tailored kitchen defined by antiqued cabinetry and slender brass hardware, she introduces a sense of happy into the space by choosing a shade of green accent inspired by old Provencal fabrics and using it liberally enough for positive impact but not to detract from the kitchen’s elegant vibe. “The vision was to make it feel like a Southern smoking room, elegant with ease,” says interior designer Morgan Martin of a dining room dominated by a massive modern walnut table. Traditional by material but contemporary in design, Martin offset the table’s wooden mass by surrounding it with light painted paneling and linen curtains, and pairing it with a colorful, relaxed vintage rug, mid-century Eames chairs, and a custom antler chandelier. The random orange chair connotes playfulness which is important to Martin and her family. “Having an odd man at the table is one of my favorite parts of the dining room,” she says.